July 28, 2011 (Toronto, Ontario) – Spice Youth Toronto Community Initiative (SYTCI) is excited to announce the winner of its Logo Design Competition: Genelle Thomas (Ms). Genelle will be awarded a monetary prize of $100, and will be contracted for other graphic design projects of SYTCI. The competition was launched in March of 2011 and garnered much attention. 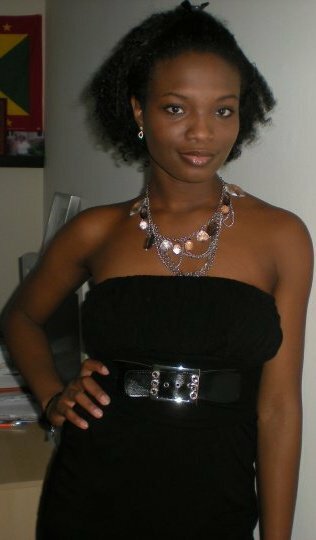 Genelle, born in Grenada and residing in Toronto, won because she captured the true essence of SYTCI and displayed a high level of creativity. SYTCI thanks all those who submitted entries and encourages them to continue pursuing their passion. Genelle Thomas was born in St. George’s Grenada. 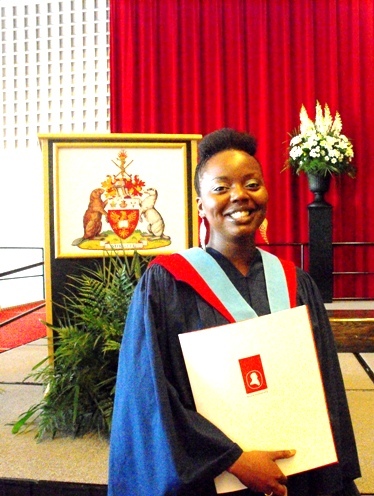 She attended the TA Marryshow Community College (Grenada) and York University (Toronto). She currently works as an Administrative Assistant. Genelle also volunteers with The Boca / Toronto Support Group. 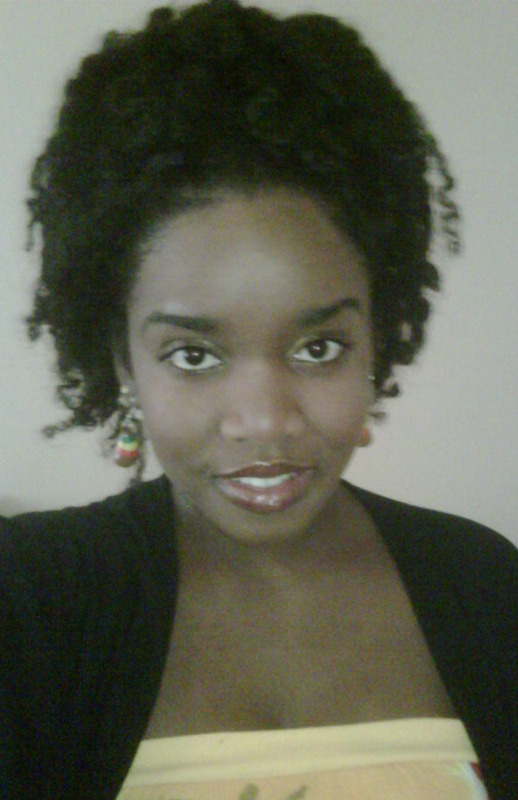 She enjoys photography and graphic design and does them on a small scale and as hobbies. Spice Youth Toronto Community Initiative is a non-profit youth led organization mandated to serve and provide opportunities for the professional, social and educational development of young people of Grenadian/Caribbean heritage in Toronto. Spice Youth Toronto Community Initiative welcomes Adiel Modeste-Matthew and Khandi Alexander to its Executive Committee. Adiel has been granted the position of Floor Member and Khandi Alexander is now the Community Liaison for Scarborough and surrounding areas. SYTCI is both excited and proud to have these two dynamic young women on board. always been active in community and school organizations and wishes to continue her involvement by contributing to the Grenadian community here through Spice Youth Toronto Community Initiative. Khandi Alexander was born in Canada to Grenadian parents. She has a genuine interest in the development and success of today’s youth, and stands as a firm and positive leader in her community, Khandi believes that teaching is her natural calling. Recognized for her academic efforts and community involvement while fulfilling her undergraduate studies, Khandi received a scholarship from the Grenada Association that would inspire her to continue to work hard towards achieving her dreams. Adiel and Khandi will be joining five other people on SYTCI’s Executive Committee: Trisha Mitchell (President), Kadon Douglas (Vice-President and Community Liaison), Marie Benjamin (Secretary), Susan Blackman (Treasurer) and Sherbin Joseph (Floor Member). July 16, 2011 (Toronto, Ontario) – Spice Youth Toronto (SYT) has officially been granted non-profit incorporated status. Along with the new status SYT will now be known as Spice Youth Toronto Community Initiative (SYTCI). Spice Youth Toronto Community Initiative was formed in 2010 and has been growing in reputation and impact ever since. SYTCI aims to create an integrated and sustainable network of youth of Grenadian heritage in the city of Toronto. Programs and services offered by SYTCI include: professional and personal development workshops and seminars, youth forums, recreational and social events, access to resource guides and advice on numerous topics. Spice Youth Toronto Community Initiative is also committed to the promotion of Grenadian culture in Toronto especially among youth and young adults. This is achieved by the hosting of culture nights, and the creation of opportunities for the sharing of Grenada’s rich and diverse culture and history. SYTCI is a community youth-led organization that values collaboration with other entities that support or share its mandate. The organization also wishes to extend its deep gratitude to the individuals and community partners who have nurtured it and have contributed to its success during its first year of operation. For more information on SYTCI visit its website (https://spiceyouthtoronto.wordpress.com). This is a global competition for young people under 35 years old who are of Grenadian/Caribbean birth or descent (parent/grandparent born in the Caribbean). The entrant does not have to reside in Canada. Submit your entry via email to spiceyouthtoronto@gmail.com by 12:00 (midnight) April 30, 2011. Email subject line: SYT Logo Design Competition.